When you participate in the AWB National Crop Survey you will receive two key reports: A planting trend report for 2017 and a crop survey summary report after the finalisation of the survey. These reports are aimed at helping in your decision making throughout this year. 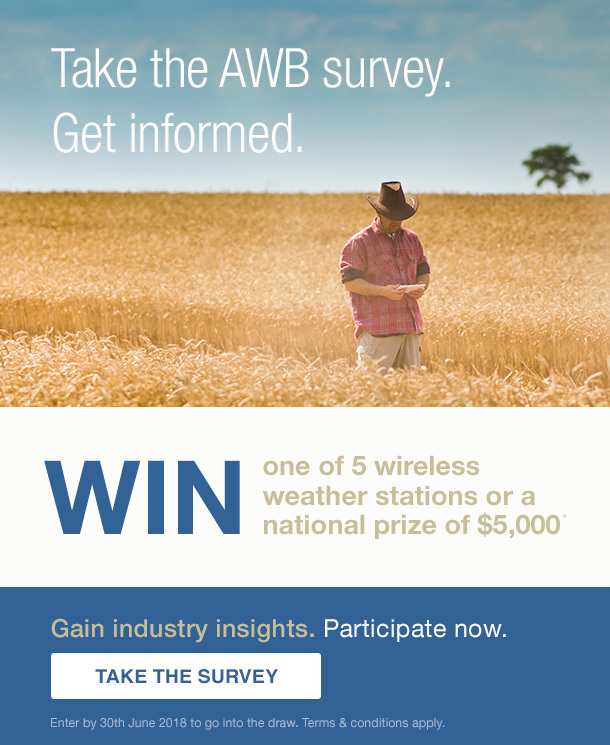 2018 AWB National Crop Survey Competition Terms & Conditions. Congratulations to the winners below and thank you to those that participated in this year's AWB National Crop Survey.